Long ago and far away, there was once a trade event called West Week that included a contract furniture/commercial design element. Ofﬁceinsight had just begun its publishing history. I was practicing law in New York City at the time, but was writing this publication on the weekend. I decided to take a couple of days off to visit West Week, but my ﬁrst stop was an informal introduction to a design team practicing in Los Angeles, Stanley Felderman and Nancy Keatinge. At the time, their studio was in a space that, if my recollection is correct, resembled a covered porch with an L-shaped hard wall on thress sides and an insubstantial fabric ruffling in a light breeze on the fourth. Los Angeles in the Spring. Their firm, now called Felderman Keatinge + Associates, had just completed a local office for MTV, and I was invited for a tour. 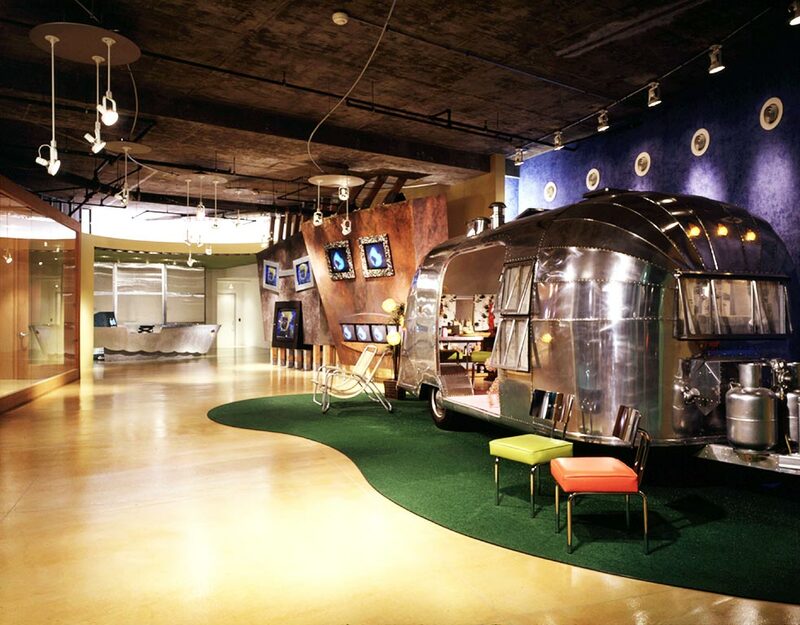 Putting together the FKA work area and the Airstream trailer in the MTV reception area suggested to me that my law-firm world, with its musty books and quiet in- tensity – this was a few decades ago, remember – may not be completely representative of work spaces around the country. But what did I know? (Not much!) Regardless, Mr. Felderman and Ms. Keatinge were very gracious and considerate, and with this brief glimpse of their work, I inferred, on a tentative basis, that the officeinsight project may be more interesting and amusing than I had first expected. More recently, Felderman Keatinge & Associates won an Interiors Award for its iCrete project in the Small Office category. After the Interiors Breakfast, I snagged Mr. Felderman and Ms. Keatinge for a chat at the nearby Haworth NYC showroom, looking forward to enjoying a few minutes in that impressive and uplifting space and, perhaps, spending some more time in the FKA Collabo- rate chair, introduced by Haworth at NeoCon 2011. Felderman Keatinge & Associates is a small firm, but its ideas and designs are far from small or parochial, although a few cur- rents of the Southern California fresh air are unmistakable.